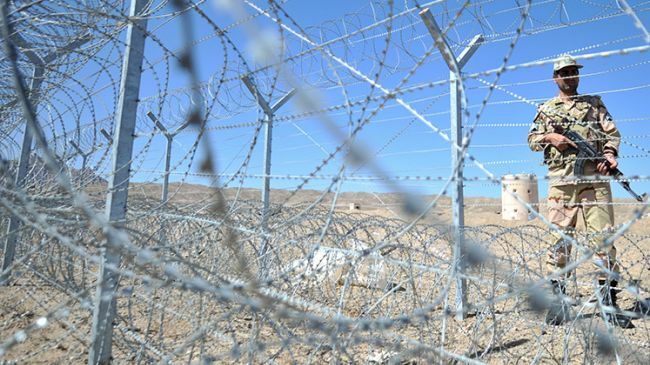 TEHRAN — Sunni insurgents in Pakistan increased attacks on Iranian border posts in the southeast of the country this week, employing methods similar to those used by Islamic State militants in Syria and Iraq. In one instance, a car bomber struck a fortified base near the city of Saravan, killing one senior officer and prompting Iranian commanders and politicians Thursday to call upon Pakistan to control its borders. On Tuesday, three police officers were killed in an ambush after responding to a distress call. These were only the latest in a series of attacks. Last month, insurgents rammed a vehicle laden with more than 1,000 pounds of explosives into one of the outer walls of a central base before launching a surprise attack with a convoy of pickup trucks carrying 70 insurgents, a senior military official told the Fars news agency this week. The official, Brig. Gen. Mohammad Pakpur of the Revolutionary Guard Corps, said the attackers had been repelled only after a long firefight and the arrival of reinforcements, helicoptered in from other bases. The Iranian-Pakistan border cuts straight through the Sunni tribal area of Baluchistan, which has been volatile for the past 15 years. In the past decade more than 3,000 Iranian border guards have been killed in gun battles with drug-smuggling gangs, but in recent years the fighting has grown more sectarian. A Sunni extremist group, Jaish ul-Adl, or the Army of Justice, has been carrying out a program of harassment, derailing trains and conducting assassinations and bombings. It demands independence, but Iran has accused its leaders of working for the United States and Saudi Arabia. In recent months Iran has directed a lot of its resources to the protection of its western and eastern borders. The attack on the border post in the south, basically a well-defended fort in the middle of nowhere, is not the first. In 2013, “bandits” killed 20 border guards, Iranian officials announced, saying that in retaliation they had executed 16 Sunni extremist prisoners held on death row. Iranian officials are now warning Pakistan that they are considering going into its territory on hot-pursuit missions. “The Pakistani government has practically no control over the border areas, and if they really cannot control the common border, they should tell us so that we ourselves can take action,” Esma’il Kowsari, a leading lawmaker, told the Tasmin news agency on Thursday.